Though many torveus hatchlings can be found around The Keep, these companions are far too large to remain there forever. Instead, adults make their homes in the mountains and forests. If a torveus dragon is ever needed, they are able to fly to the castle very quickly. If the situation is not dire, the magi may make the trek into the mountains to speak to their companions. There are many caves in those hills, and even a seasoned magi must tread lightly. Other dragons live there beside torveus dragons, and they do not take kindly to those who invade their territories. Inside these caves are sleeping adult dragons, and their treasures. These treasures include anything a dragon takes a liking to – usually gold, but there are also bright silks to be found as well. Torveus dragons arrange their collections in such a way as to form massive nests. Although these nests seem horridly uncomfortable, a dragon's scales protect them. Young dragons grow at an rapid rate, shedding their skin every year. As they age, they will shed less and less, although they never do stop growing. Discarded scales are carefully collected and saved. When there are enough scales, they are taken to a talented craftsman and made into armor. No weapon known can pierce through this armor. Of course, the same is true of a dragon – to kill even a single dragon is a near impossible feat. There was a time when many feared that these dragons would have to be destroyed, for they were truly violent creatures. Torveus dragons used to take great pleasure out of destroying villages and preying upon herds of cows and sheep. When the magi were turned to for aid, they decided to take all of the torveus eggs they could find. In this way, tame torveus dragons eventually outnumbered the wild ones, and the villagers no longer lived in fear. 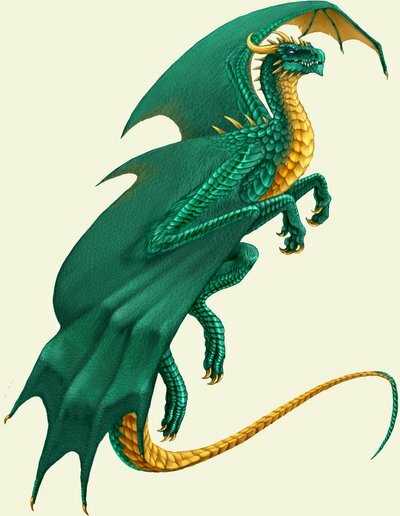 Torveus dragons are massive, beautiful creatures, and it is quite fortunate that their temperaments have become calmer. When enraged, these dragons have been seen to tear a whole tree from the ground. Fortunately, these companions are taught to be gentle around humans, and they retreat into the woods when they feel the need to destroy something. If someone is walking around the edge of the forest and hears a large crash, it may just be a dragon throwing a boulder. Young dragons love to challenge each other's strength, but they can sometimes injure themselves. Luckily, turveus dragons recover quite quickly. It is incredibly rare for a dragon to become injured enough to bleed. If this does happen, the blood is placed in a container while the dragon is being cared for. A bit of dragon's blood is very expensive, and for good reason. Even a single drop in a potion will enhance the brew a hundredfold.